* The following was a handout I wrote for a brief presentation in a Philosophy 101 class. 1. What is the Bible? Answer: the book you find in hotel rooms. b. Two major sections: Old Testament (39 books) and New Testament (and 27 books). 1. Resemblance: human beings like God in some aspect(s) such as intellect, moral sense, will, rationality, etc. v. Much of the Old Testament is taken up with narrating the failure of Israel and its institutions to fulfill their task of being a light to the nations and the subsequent judgment of God upon his people. e. God will restore all things and bring resurrection power to bear in transforming his people and the rest of the created order into the fullness of his righteous rule on earth. Those who are Christ’s people by belief and allegiance to him will rule and reign with Christ forever. The issue of which books belong in the Bible is referred to as the canon. For an introductory study on this issue see my “The Canon of Scripture: A Brief Introduction.” Online: http://whiterosereview.blogspot.com/2015/09/the-canon-of-scripture-brief.html. Chart is taken from Paul D. Wegner, “How Did We Get the Old Testament?” Credo Magazine (February 2015), 20. Available online at: www.credomag.com. 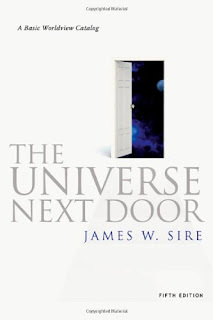 James W. Sire, The Universe Next Door: A Basic Worldview Catalog—5th ed. (Downers Grove, Ill.: Intervarsity Press, 2009), 43. For some brief comments on this see my essay “The Apostle Paul as the Isaianic Servant: Paul’s Use of Isaiah 49.6 in Acts 13.47.” Online: http://whiterosereview.blogspot.com/2013/04/the-apostle-paul-as-isaianic-servant.html. C. John Collins. Did Adam and Eve Really Exist? Who They Were and Why You Should Care (Crossway, 2011), p. 94. See also Herman Hoekema’s discussion of “structural” and “functional” aspects of the image of God in Created in God’s Image (Eerdmans/Paternoster, 1986), pp. 68-73. This dualist conception of humanity is more clearly seen with the further revelation in the New Testament. Chris Wright, Knowing Jesus Through the Old Testament: Rediscovering the Roots of Our Faith (London: Marshall Pickering, 1992), 31. See my short pieces on this aspect of the identity of Jesus: “Old Testament Quotations in Matthew 2: Some Comments,” online: http://whiterosereview.blogspot.com/2013/12/old-testament-quotations-in-matthew-2.html and “Jesus and Israel Parallels,” online: http://whiterosereview.blogspot.com/2013/10/jesus-and-israel-parallels.html. 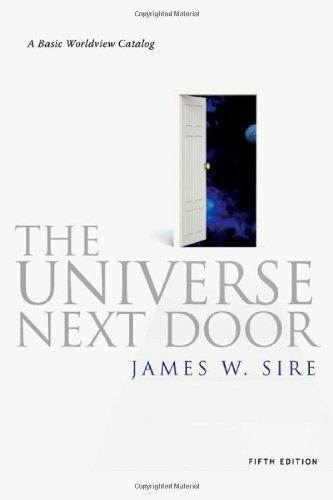 James Sire's The Universe Next-door is crucial reading. The first chapter laying out the worldview questions and then almost all of chapter 2 on Christian Theism is on Google Books for preview. A comparison chart for Sire's book is HERE.